Water Systems & Service Co. Improve your property’s water system with help from the experienced team at Water Systems & Service Company in Kenai, AK. 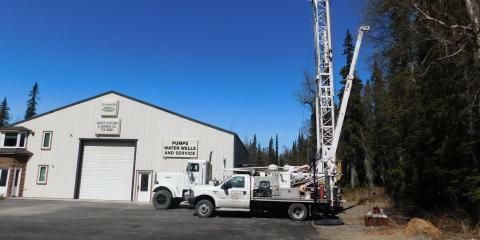 This licensed, bonded, and insured company offers top-of-the-line equipment and detailed services for residential and commercial clients across the Kenai Peninsula. You can count on their staff to create a custom plan of action to meet your property’s specific needs. For more than 40 years, their company has provided superior well drilling and water treatment services. As an authorized Ecowater treatment dealer, they install industry-leading systems that are designed to reduce your energy bills, improve the taste of your water, and enhance the performance of your appliances. In addition to installation services, they also repair water wells and replace broken submersible pumps. Upgrade your water system with help from the professionals at Water Systems & Service Company. The quality of your drinking water and the efficiency of your system is their top priority. Call them today at (907) 776-8066 to request an estimate. Reviews for Water Systems & Service Co.